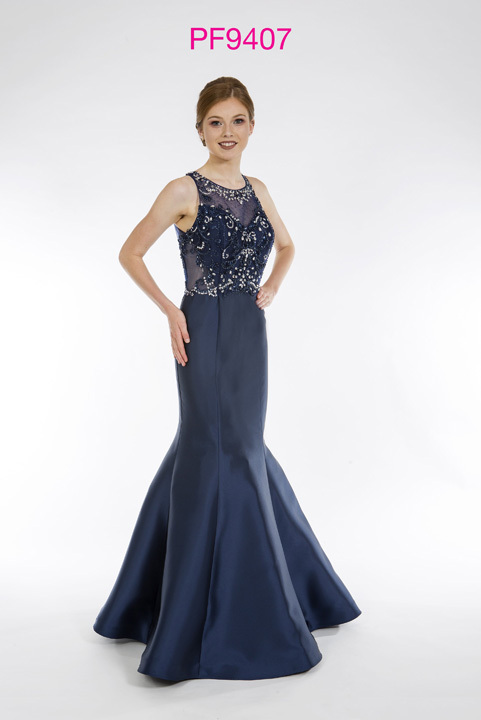 This fishtail prom dress will have you standing out in the crowd. The mikado fabric gives this dress great structure. The body is intricatley beaded with silver beads and diamante and has an illusion neckline and zip back detail.